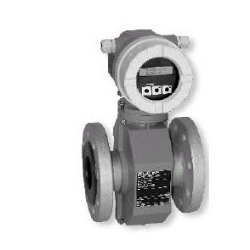 We offer a wide range of electromagnetic flow meters, which are used for various industrial applications. Our flow transmitters measure the flow rate of conductive liquids and slurries in closed pipes. The range of innovative measuring devices we offer are very sensitive, accurate, durable and reliable and are bought from renowned manufacturers in the industry. Our instruments are used in various industries including sugar, cement, chemicals, power, etc. and for all kinds of sensing, analyzing and measuring needs. We make sure that every instrument is tested at the manufacturers’ end for flawless performance before it is sent to us. This gives credibility to our product range and ensures their performance.